Today sees publication of the long-awaited Trans Inquiry report from the Women & Equalities committee, which you can read in full here. Sarah Brown has also written about the report, and you can read her views over on her blog. First up, this is just a report of a cross-party parliamentary committee of back-bench MPs. It’s not a guarantee anything at all will happen, but it’s certainly a useful stick with which to beat government – at least in the areas where the committee is being progressive. Generally, the language of the report is good and I did not catch any blatant instances of invalidating trans people’s gender on that score, even in areas where the policy recommendations were not so progressive. The report however does not cover intersex people – although it also states that it does not cover non-binary issues “in depth”. Despite this, there are recommendations in the report that will benefit both non-binary people and those intersex people who transition. There are some welcome suggestions here, such as creation of a “legal category for those people with a Gender Identity outside that which is binary”. The more concrete recommendations are updating Gender Recognition to de-medicalise the whole process and turn it into a simple self-declaration and allowing 16-year-olds to obtain recognition. Oddly, there is only a very passing mention of the current two-year wait to get a Gender Recognition Certificate. Disappointedly, the report recommends retention of the Spousal Veto, reiterating old and trivially discountable logic about “protecting” the spouse. 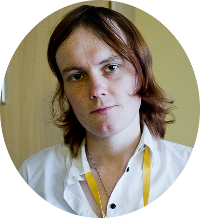 There’s a suggestion in the report that there have been no prosecutions for revealing the trans status of someone with a Gender Recognition Certificate. (Section 22 of the Gender Recognition Act) I know this is incorrect and that there has been at least one prosecution, but it appears that the Ministry of Justice is either not tracking this correctly or they’re missing private prosecutions. The recommendation to “investigate” this is the first of the many damp squibs and pulled punches in the report. The recommendation to reintroduce absolute legal protections in employment and service provision for those holding Gender Recognition Certificates is a really big deal. The effects of a GRC have been watered down over the last few years and such a move would really help those who have them. Unfortunately, it would also increase the perception that those without GRCs are second class citizens which would be a problem if the two year requirement to obtain legal recognition was kept. The report also seems to agree that discrimination against trans people early in transition is OK.
It’s also harsh for those who find themselves caught by the spousal veto: GRCs are suddenly easer to get for single trans people and give more protections, which makes threats to block recognition and delay divorces even more powerful. There’s also a recommendation about updating the protected characteristic “Gender Reassignment” to be “Gender Identity”. Exactly what force this has in law is unclear, but it’s precisely because of this lack of clarity that the update is suggested: Nobody wants to be the guinea pig who has to spend years fighting a test case to find the limits of the current system. The really big statement here is that the NHS is in “clear breach of the legal obligations” surrounding waiting lists and breaches of the Equality Act, and that’s something the news media is already leading on. This is a lengthy section and goes much further than a political committee usually would, even making detailed recommendations about treatment regimes and professional development for doctors. Some of this is a welcome intervention, such as the recommendation to move gender identity services out of mental health services altogether. On the flip side, the rejection of an informed consent model of treatment is certainly not something many trans people will be cheering, nor the very timid suggestions about trans healthcare for children and adolescents. It’s unclear why the committee thought it was competent to discuss such matters. There is some more disappointingly weak language here, such as the suggestion that NHS Networking Groups are a good way of making progress. Although some progress does get made eventually, the pace is glacial and many activists including myself have given up on the meetings due to consultation fatigue. A mixed bag here, containing some weak statements, such as the suggestion that the Ministry of Justice should “consult fully” on the development of hate crime legislation and police should be “better trained” although extending existing hate crime legislation (The detail is lacking) can only help. The suggestion that IPSO and Ofcom should encourage more trans people to come forward with complaints is so weak that it crosses into victim-blaming territory: People don’t complain because it costs time and energy for little or no gain. The recommendations about prisons are not very detailed, but given the impending (and now overdue) publication of a new Prison Service Instruction on the topic this isn’t surprising. The “clear risk of harm” to trans prisoners is noted, as is the inappropriateness of anything that amounts to solitary confinement. On the plus side, an option for X Gender Markers on passports is enthusiastically endorsed by the report, along with the removal of the requirement for a doctors letter to update passports. I know many long-term campaigners in this area will be happy, although the Passport Office has been very reluctant to work on this in the past though, and it may remain a tough nut to crack. And, of course, the much-trailed suggestion that official documents and records should be non-gendered as far as possible is here too. The final sections feel rushed: vague assertions that online harassment is bad, and suggestions that teachers, children and social workers should receive more training. The report does not mention which subjects should be dropped from the syllabus to make space for these topics, nor is there any suggestion that additional support or improved policies should be put in place.